This section of our site includes answers to frequently asked questions about our products, our technology and how to use them. 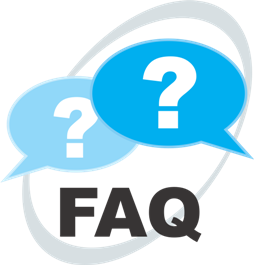 Choose a general topic area below to read some of our FAQs (frequently asked questions). We may already have the answer to yours! For ease in finding the answers to your questions, choose a topic category below. Q: How much does the Alpha-Stim® cost? A: The Alpha-Stim AID has a suggested retail price of $795. This model does only Cranial Electrotherapy Stimulation. This is the model for treating anxiety, depression, insomnia, and pain (as accepted by FDA). This is the treatment that melts the craving for a cigarette in two minutes nearly every time, nearly without exception, based on my experience of 8000 patients in my office. The Alpha-Stim M has a suggested retail price of $1195. This model does Cranial Electrotherapy Stimulation, and can also treat pain in other parts of the body. In my office, and in my home, I have had excellent results treating pain with the Alpha-Stim M.
We are working on making it easy to obtain the Alpha-Stim on a payment plan. Such a plan might cost the same or less per day than your current cigarette habit, but after a few months it is paid off. We are considering a rental policy, a deposit would be required. Q: Why is Alpha-Stim® technology so expensive? A: Melting the craving for a cigarette in two minutes is priceless! Melting even severe anxiety in 30 seconds to 10 minutes, with no risks or side effects, is priceless. Relieving depression in as little as 30 seconds (it can take up to 2-3 weeks of one twenty minute treatment daily) is priceless. To get to the current stage, Alpha-Stim’s corporate company Electromedical Products, Incorporated, EPI, has spent a fortune in research, proving the effectiveness of the products. They are well known for their excellent customer service, and they back up the product with its 5 year warranty! Once they fixed my unit that was more than five years old, and didn’t charge me! There are other factors that have driven the cost up. The fact that Alpha-Stim requires a prescription puts it under FDA control. FDA regulatory demands, including very expensive legal battles, is one factor. Obamacare added a tax on medical devices. There are cheaper devices on the market — but believe it or not most of them have no research at all so you really have no idea if they’ll work for you. EPI is known for their customer service, whereas, most other device manufacturers couldn’t advise you if they wanted to and don’t even try. We have quite a few testimonials from people who have tried cheap units prior to using Alpha-Stim® technology and did not get good results. Putting electricity into your brain and body is serious business. EPI is the most trustworthy established company in this business. A: Insurance will not pay for CES. Some policies will cover the Alpha-Stim M if you need to treat pain in the body. We do not do insurance billing, but if your policy would pay for it, EPI will help you, and charge a small fee for filing your insurance claim for you. However, Alpha-Stim® technology is very cost effective. If you smoke a pack a day, you will have paid for the Alpha-Stim® in 3 months of not smoking! A: Many plans that cover durable medical equipment will pay for Alpha-Stim® technology. However, many plan administrators and case managers are unfamiliar with Alpha-Stim® technology and, since it is broadly classed along with cheap TENS devices, they assume it is just another TENS. If a claim is denied, it is important to work with your doctor and insurance company to educate them on the benefits of this technology. Alpha-Stim® technology is supported by more clinical studies than many drugs and is proven efficacious for its registered indications. Some insurance carriers have mistakenly classed Alpha-Stim® technology as an investigational device. We can provide them with clearance to market this technology by regulatory agencies in Europe (CE mark), the USA (FDA), Canada, and other countries. As this technology may be new to your insurance carrier, it is important not to take “no” for an answer. Your doctor knows the validity of this technology or would not have prescribed its use in your case. It is cleared to market and deserves proper reimbursement. As a manufacturer, we have limited clout with the insurance carriers. However, the more doctors and patients who request proper reimbursement for this valuable technology, the more inclined they are to listen. In the end, this technology will produce significant savings for the insurer over drugs, surgery and secondary and tertiary problems caused by other types of medical intervention. Q: Does Medicare pay for units? How do I file my claim? A: Unfortunately Medicare does not pay enough at this time for distributors to bill them directly. EPI maintains an insurance billing department that can help you file claims or provide advice. Q: What does the Alpha-Stim® do? A: There are two Alpha-Stim® devices. The Alpha-Stim® M treats pain on the body and anxiety, insomnia and depression. The Alpha-Stim® AID treats anxiety, insomnia and depression but not pain. That one costs a bit less and is easier to use. A: Alpha-Stim® technology is nothing like milliampere TENS. All white pills are not alike. Nor are all 5 mg white pills alike. Just like the chemical ingredients that make up drugs differentiate one from another, it is our unique proprietary waveform that makes Alpha-Stim® technology so effective. TENS has limited effectiveness, and just like eyeglasses, TENS has no residual effect — it only works while in use. But the biggest problem with ordinary TENS is tolerance, just like in drugs where you have to constantly increase the current to a point where it becomes ineffective at safe levels. Alpha-Stim® technology treatments can usually be given in only a few minutes a few times a week. The results are long-lasting and cumulative. Alpha-Stim® technology is also less expensive than even the cheapest TENS when long term use of TENS electrodes are factored in. Alpha-Stim® felt electrodes may be reused on a single patient. Q: How are the Alpha-Stim® devices used? A: The Alpha-Stim® M and AID use earclips for 20 minutes to an hour, anywhere from daily to 3 times a week to treat anxiety, depression and insomnia. The Alpha-Stim® M treats pain with self-adhesive electrodes on an as-needed basis. The Alpha-Stim® M also uses probes which is faster and more effective than the self-adhesive electrodes. Probes treat pain efficiently using Dr. Kirsch’s 2 – 5 minute protocol. Put another way, the Alpha-Stim® M treats the body and brain, and the Alpha-Stim® AID treats the brain. Q: Why doesn’t my doctor know about this? A: Doctors are educated in institutions largely funded by pharmaceutical companies with multi-million dollar (and larger) budgets. These large companies have the resources to continue to educate doctors after they graduate, serve their internships and go into private or institutional practices. Smaller, innovative device companies such as EPI have had to build awareness through word-of-mouth and participation in medical conferences not dominated by pharmaceutical interests. It is not the doctor’s fault that these new technologies take longer to become known. It is the nature of healthcare in the US and the nature of the medical profession which is necessarily cautious in adopting new methods of medical intervention. Also, more and more, patients are taking charge and taking responsibility for their own healthcare and their doctors about technologies such as Alpha-Stim® which offer unprecedented efficacy without the negative side effects of drugs. Eventually, doctors will utilize technologies such as Alpha-Stim® as a first line of defense, especially in treatment of chronic disorders where the long term effects of drugs can cause secondary and tertiary problems, sometimes worse than the ones originally treated. Doctors that are on the cutting edge will seek us out, but many need to hear about the benefits from patients who are willing to take charge of their own well being. Q:. How often do I use it for anxiety, insomnia, depression or pain? A: Most people will see at least some improvement in pain or anxiety in a single treatment. There are exceptions to this, which could take several weeks. It takes two to four weeks to start to see a significant change in severe depression. Insomnia is somewhere in between, about one or two weeks. The treatment is cumulative meaning that a series of treatments build upon one another to create better and longer lasting results. Q: I have had depression for 20 years. Will I have to use the Alpha-Stim® every day for the rest of my life? A: No. When your neurotransmitters are balanced and the depression is gone, you will only need to use it from time to time when your life’s circumstances suggest that the depression might come back. Some people who have recovered from anxiety or depression find it best to use the Alpha-Stim® two or three times a week for 20 minutes to prevent another episode. Others put it on a shelf in the closet and only get it down when they feel out of sorts. Q: Sometimes when I use the Alpha-Stim® I feel a slight stinging sensation that makes me uncomfortable. A: Turn the current down just below the point that the sensation is bothersome and continue to treat yourself at that current level. You may need to treat for longer duration when you turn down the current to get the desired result. Q : Would it hurt me if I use Alpha-Stim® longer than 20 minutes? A: No, but more is not necessarily better. Some people actually achieve better results from Alpha-Stim® technology when it is used for the minimum time necessary to feel better, 2 – 5 minutes with the probes – and then only two or three times a week. Severe pain patients must use it daily. Severe depressed patients must use it daily as well. Q: I get the best results if I use my Alpha-Stim® for one hour, three times a day, and at night when I go to bed. Am I using it too much? A: If that is how you get your best results, you have found the key to how you should use Alpha-Stim® technology for your condition. Keep in mind that the procedure will likely change over time as you continue to improve, and you may find yourself using it for only 10 or 20 minutes a couple of times a week in order to stay at your peak level of functioning. Q: When I use the earclips, I sometimes get light headed or even dizzy. I don’t like that feeling. Is it necessary to feel that in order to get benefit from the treatment. A: You do not have to feel unpleasant feelings in order to get the benefits of Alpha-Stim® CES treatment. When you first apply it, be certain you have the current level set to “0″, then gradually turn it up until you just begin to feel slightly light headed or dizzy. At that point, turn the current back down until the dizzy feeling goes away, and continue to treat yourself at that level. If you feel dizzy again, turn it down again, but never less than “1″. With the Alpha-Stim® microcurrent technology, more is not necessarily better. However, the lower the current the longer it will take. Generally, if the current is set at less than “2″, it will take more than 20 minutes. Some people will need an hour or more, especially for the first few treatments. Q: It says in the instruction manual not to use the Alpha-Stim® technology within three hours of going to bed. My friend uses hers when she goes to bed at night. She says it helps her sleep better, and she puts it on again if she wakes up too early in the morning and it helps her get back to sleep. A: We do not recommend using it just before going to bed. However, some people can fall asleep with it on. It is like caffeine, some people can drink coffee, tea, or soft drinks just before going to bed, while others are doomed to staying awake all night if they have a sip of caffeine after 12:00 noon. If Alpha-Stim® technology does not keep you awake, it is okay to use it before going to bed. A: We recommend utilizing the CES application with the earclip electrodes after treating pain with the probes or AS-Trode™ self-adhesive electrodes. A: You do not need to do anything. The stiffness will reside, and we’re certain you prefer it to pain. Stiff is a magical word meaning “stop” Alpha-Stim® treatment for that day. The stiffness will wear off soon. A: Any electrical stimulation can cause skin irritation and it is usually mild and self-limiting. This is more prevalent in fair skinned people or those with sensitive skin. If a problem persists, consult your medical professional or try an alternative method of application such as applying the AS-Trode™ self-adhesive silver electrodes on the shoulders. The stimulation can dilate the vascular system in the area which will turn the skin red. Q: How long do the electrodes last? Mine aren’t sticky any longer. Can I tape them to my body? A: Electromedical Products International, Inc. has gone to great lengths to research and procure the best possible electrodes for use with the Alpha-Stim® technology . We are concerned primarily with efficacy and you should be too. The adhesive gel on the electrodes is the conductive medium insuring proper contact and distribution of the electrical signal with the body. There are many variables which cause this gel to lose its effectiveness including humidity, amount of hair or sweat on the skin, and cleanliness of the area where applied. When the gel begins to lose its ability to adhere properly to the skin, it is time to get new electrodes. Trying to extend the life by taping them to the body may be inviting limited or negative results. Always use fresh electrodes applied to a clean, dry skin surface and only use AS-Trode™ brand silver electrodes designed for use with the Alpha-Stim®. Q: Am I supposed to put the felts on top of the one’s already attached to the new earclips or new probes? Q: Can you use earclips and probes or electrodes at the same time? A: We advise against it. It is always best to evaluate the pain during each treatment with the probes or electrodes. We recommend doing CES after the pain treatment. Q: Can you use Alpha-Stim® technology with magnet therapy? A: No. Electrical and magnetic fields interfere with each other so magnets can alter the Alpha-Stim® waveform rendering it ineffective. A: Usually during the first treatment. But the treatments have a cumulative effect. A: Usually during the first treatment. A: Improvement is usually seen in one or two weeks. A: This is a problem that takes longer to resolve. It often takes three weeks or more to see a significant change in depression. Q: What percentage of people get relief from anxiety, insomnia, depression or pain? A: Approximately 9 out of 10 people overall get significant results (93% based on survey data). But perhaps even more impressively are the results the 90+% of people actually got. The effect size, also known as percent improvement is quite large. Most people will experience their symptoms diminish at least 50% after just 3 weeks of use. Most pain and anxiety patients will feel relief from their very first treatment. A: The effects are long-lasting and cumulative. Sixteen longitudinal studies showed long-term beneficial effects. However in some cases, depending on the problem being treated, Alpha-Stim® technology may have to be used on a long-term or indefinite basis to manage the problem. Q: Would Alpha-Stim® technology help me in my sports training? A: Many professional sports teams, as well as many colleges and universities use the Alpha-Stim®. Q: I am planning on taking my Alpha-Stim® with me on a trip next week. Will the airport X-ray machines cause any damage? Should I check it in or carry it through the security? I am a little concerned about getting it damaged by the X-rays. Q:. Why can’t we use rechargeable batteries? A: Rechargeable batteries do not discharge evenly. The waveform produced by Alpha-Stim® technology is very specific and an unstable power supply may alter it affecting the results. Because it is generally not used for long periods of time, the cost of batteries are low anyway, so it is always best to use quality alkaline or lithium batteries. Q: My best friend puts his Alpha-Stim® on his dog who is very nervous. Is that okay? A: Some veterinarians do use and prescribe Alpha-Stim® technology for use on animals, especially horses, dogs and cats. Have your friend check with his dog’s veterinarian.